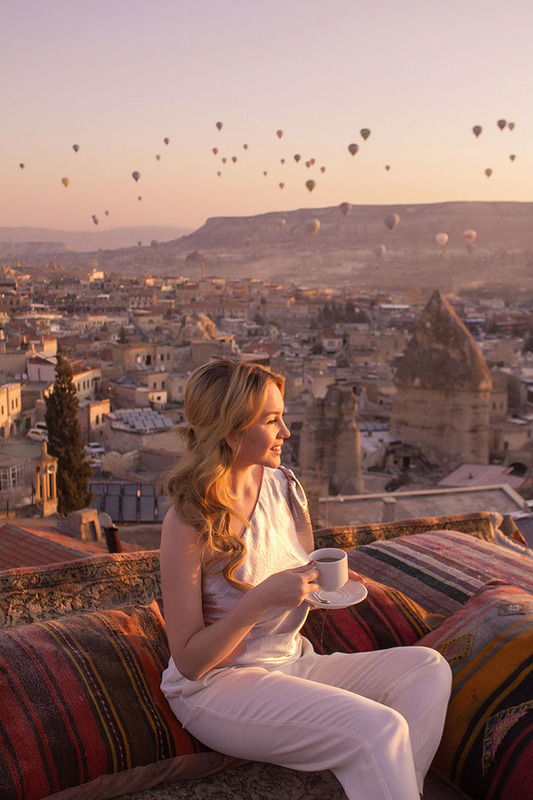 Visiting Cappadocia and seeing the hot air balloons rise in the morning with the sun has been one of the most amazing traveling experience I’ve had to date. Turkey is so picturesque and full of magic, that words are not enough to describe the beauty of it. Yes, that’s one of the reasons why I never ended up writing about this place, but I will give it a try. 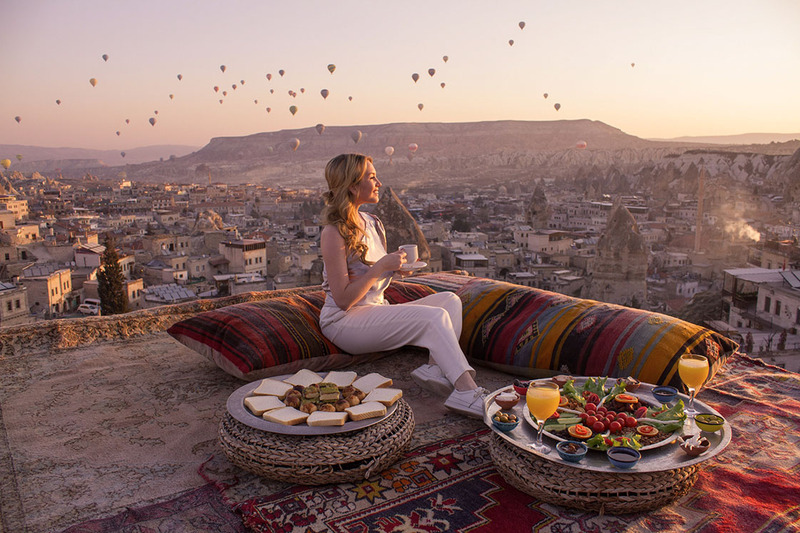 In addition to soaring through the clouds in a hot air balloon, sleeping in a cave is the other token Bucket List experience to be had in Turkey. 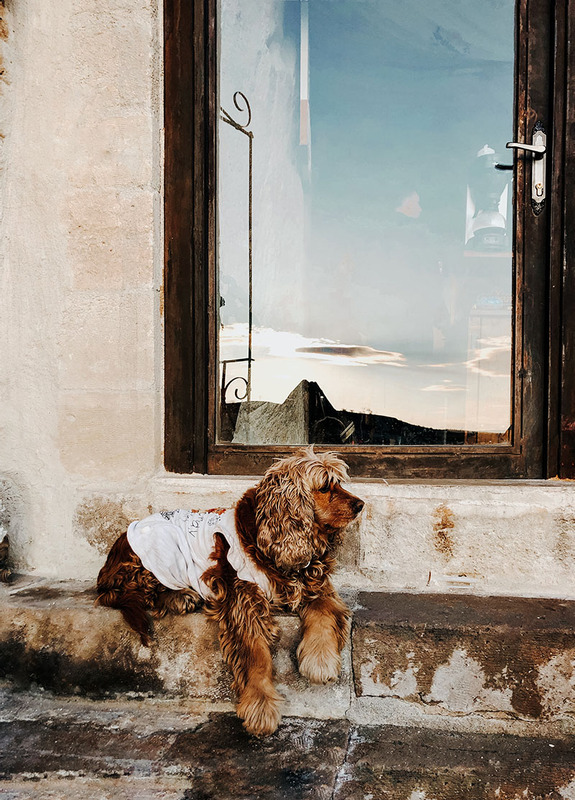 The Mithra Cave Hotel is by far my favorite hotel in Cappadocia and it’s definitely one of the best in the area. 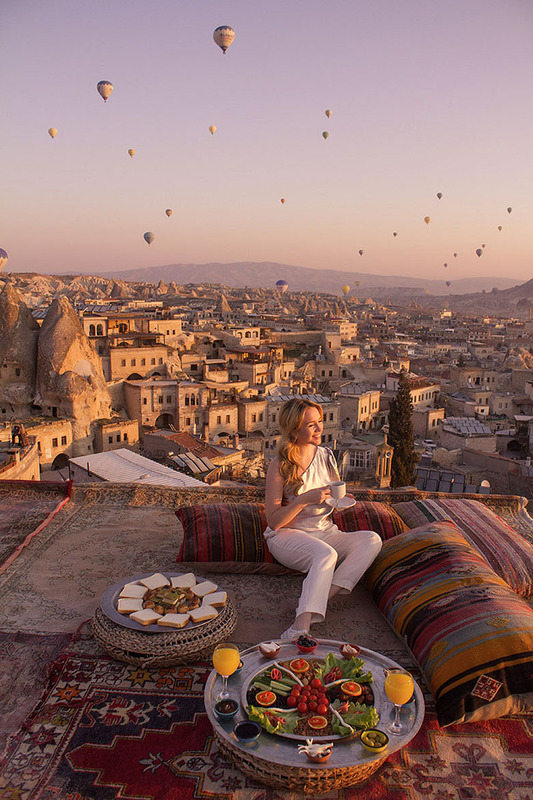 The hotel is located in Göreme, the most popular and the busiest town with lively restaurants, shops, and easy access. Situated among the fairy chimneys, it is a short distance from the popular hot air balloon launch sites. As we didn’t plan to hire a car, it was a perfect spot with the best access to the viewpoints. 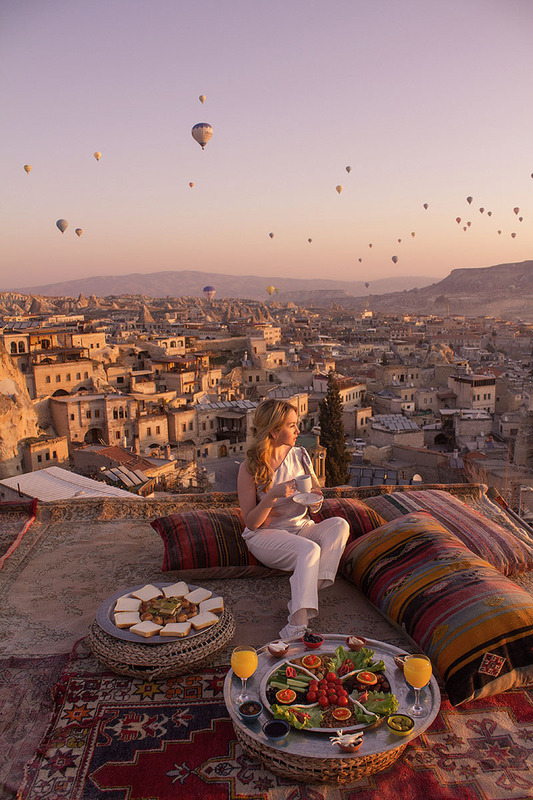 So, we could walk to some valleys and appreciate the hot air balloons every morning from the terrace of our hotel while having breakfast. It’s safe to say that the view from Mithra terrace is one of the best in the town. 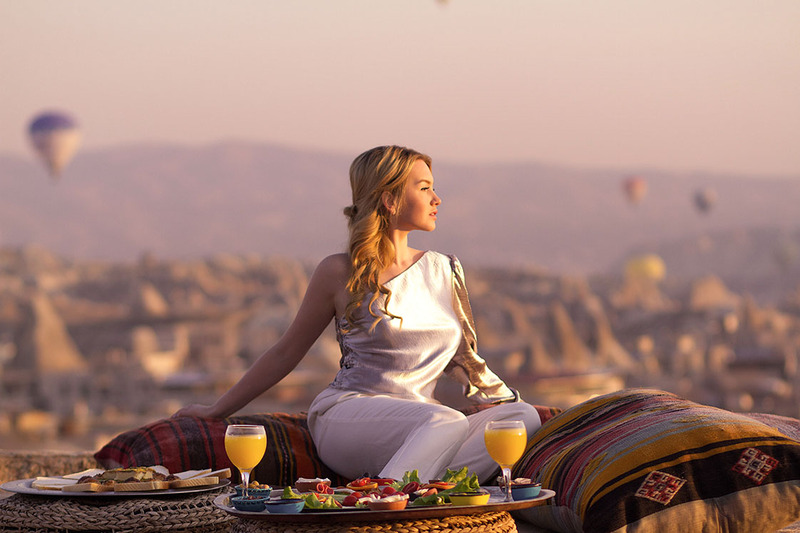 With sweeping panoramic views of Göreme and surrounding valley, you can enjoy sunrise or sunset with a complimentary tea or coffee in hand. Can’t beat that! 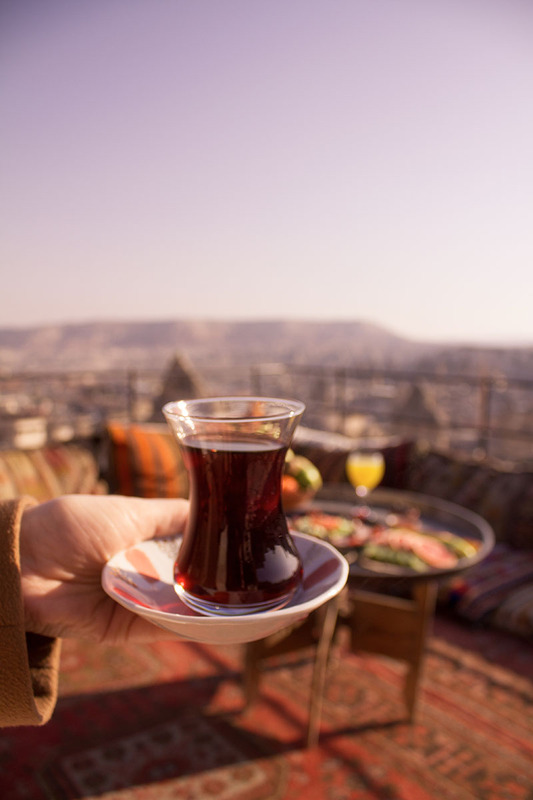 The rooftop of the Mithra Hotel has the perfect view and the hotel sure knows how to set up a breakfast shot! It’s set up every morning for guests to take photos as a prop so don’t worry everyone gets their turn for the photo. The best part is if you’re lucky, the famous dog named Findik may hop on up and steal the show. We stayed in the Honeymoon Suite Cave and felt like royalty. The room was previously a cave stable which you can tell from the different shapes cut out into the walls. The room we had was a legit cave with windows (that’s not common in Cave hotels). There was an amazing king-size bed which made waking up in the morning a little hard because I wanted to cozy up in the dark and sleep in. The bathroom was exquisite with a good shower as spacious as the bathroom itself and they even provide slippers to walk around in. What’s great about the Mithra is the small group of staff that welcome you. Not only do they perform the usual hotel tasks like serve breakfast and clean the room, but the staff can also arrange airport transport, book your tours, taxis, and activities and they were always happy to help with anything we needed. I cannot say enough good things about the team. Everything at Mithra Hotel – from the breakfast to the attitudes of the staff to the comfortable beds – has been thoughtfully designed to make each guest feel at home (even if that home happens to be a cave! ).